This time we’re working at their Snetterton offices, designing and fitting out their staff canteen. We’re installing a new tea point, with soft seating and break out space furniture for use by their hard-working warehouse team. Our designs have kept true to their branding, with the addition of a faux exposed wall and a sleek kitchen finish. 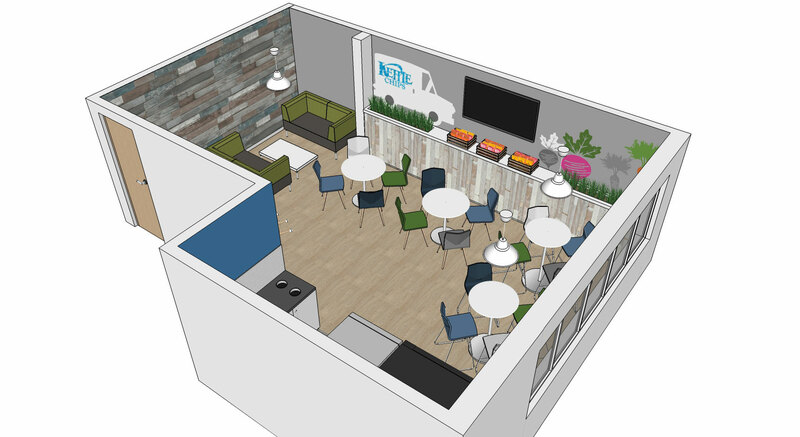 If we make it out of the Kettle Foods door again and you need any help at all with your office canteen design or break out space furniture, please get in touch and our designers will be happy to help you transform your space.